Happy Holidays! What are your plans with your family? Is it going to movie or watch a theater plays? Why not bring your family to a magical stage production? I'm sure it'll make your family happy and excited especially the kids. Make Christmas magical this year with Cirque Dreams Holidaze! Holidaze is a multi-million-dollar live stage production with never before seen performances, over 300 costumes, 20 of the world’s best acts, the finest singers, original music and seasonal favorites. See snowmen, penguins, reindeer, gingerbread men, Santa and more! See Cirque Dreams Holidaze from Friday, December 1st through Sunday, December 3rd. Tickets range from $29-$69 and can be purchased from Olympia Entertainment, The Fox Theatre box office and TicketMaster. 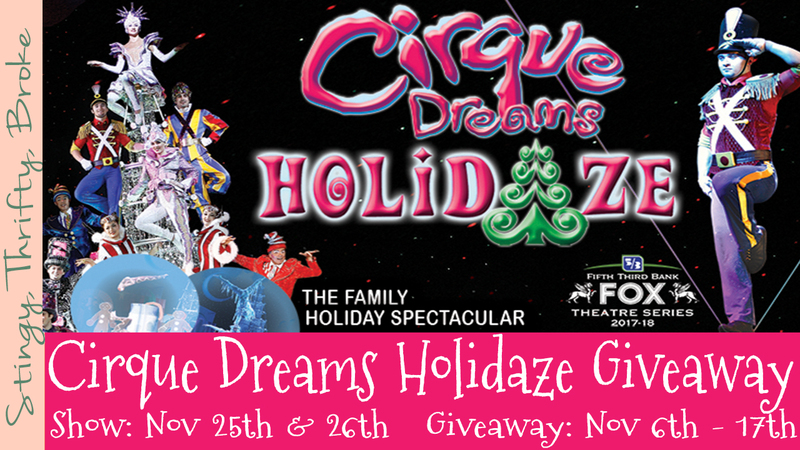 Enter to win two tickets to see Cirque Dreams Holidaze at 7:30pm on December 1st in Detroit at the Fox Theater! Giveaway is sponsored by Olympia Entertainment.